You can tell a lot about a man from his taste in automobiles – and, judging by Glamourlyke&apos;s affection for the Oldsmobile Cutlass, the Atlanta representatives are all about balancing practicality and reliability with attention-grabbing old-school style. Appropriately, Glamour&apos;s first Booth feature finds the up-and-coming rap trio engaging in a little flashy, yet classic lyrical stunting, flowing over the Southern-fried synth-brass boardwork of Supahot Beats&apos; Wil Power. Despite being more of a Cadillac guy, longtime Booth favorite and fellow ATLien Yelawolf proves the perfect guest emcee for this track, lacing the back end with some timeless words of wisdom: “You can put a kickstand on life, but you can&apos;t guarantee that b*tch&apos;ll stand up.” Craving more from this first-time featuree? 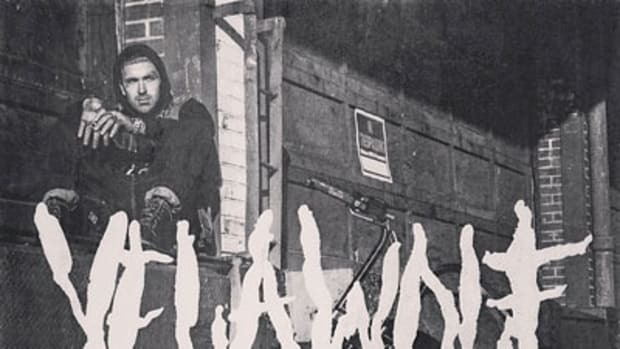 You can find what you&apos;re looking for on Glamourlyke and Wally Sparks&apos; new street album, Hwy. Love (The Mixtape), available now online.